For the best in grills, look no further than Blaze. 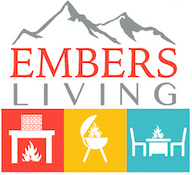 Embers Living has a range of Blaze Products in stock including grills with built-in propane, infrared burners, charcoal grills, professional grill carts and so much more. Embers Living strives to give you the best in outdoor products and a great online experience so you can stayed informed and educated on the products you get from Embers Living. So check out our stock today and get your next grill from Embers Living.